There are many advantages for those that qualify for a conventional loan. Call 732-845-1991 to learn more about why a conventional loan might be right for you. The conventional loan experts at Fairway Independent Mortgage Corporation will be with you step-by-step to walk you though the process. If there is any way that you may be eligible for a conventional loan, they will make it happen. To learn more and see if you meet conventional loan eligibility requirements, contact me at 732-845-1991. 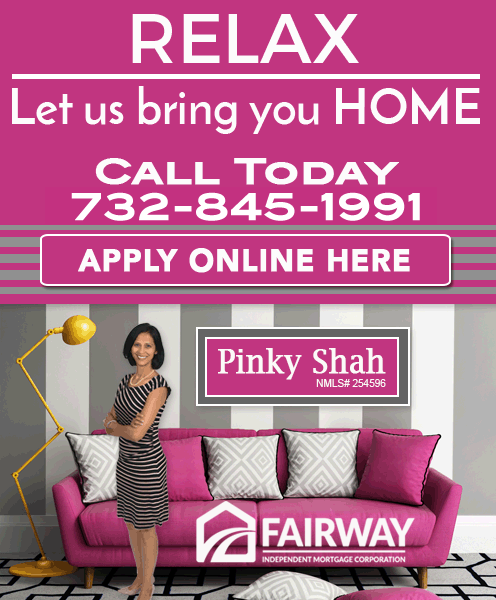 Copyright ©2018 Fairway Independent Mortgage Corporation. NMLS#2289. 4750 S. Biltmore Lane, Madison, WI 53718, 1-877-699-0353. All rights reserved. Licensed by the NJ Department of Banking and Insurance. Fairway is not affiliated with any government agencies. These materials are not from VA, HUD or FHA, and were not approved by VA, HUD or FHA, or any other government agency. This is not an offer to enter into an agreement. Not all customers will qualify. Information, rates and programs are subject to change without notice. All products are subject to credit and property approval. Other restrictions and limitations may apply. A pre-qualification is not an approval of credit and does not signify that underwriting requirements have been met. Pre-approval is based on a preliminary review of credit information provided to Fairway Independent Mortgage Corporation which has not been reviewed by Underwriting. Final loan approval is subject to a full Underwriting review of support documentation including, but not limited to, applicants’ creditworthiness, assets, and income information, and a satisfactory appraisal.